Next Training begins in August 2019, Mondays 4pm pacific/7 eastern, Wednesdays 11am pacific/2pm eastern with Jill Badonsky, Sarah Sadie, and a Q & A with Dr. Robert Maurer. KMCC is an intuitive, non-linear, kind and gentle approach to mentoring those who want to make progress with creative pursuits or use creative tools to move ahead in any area of their lives. 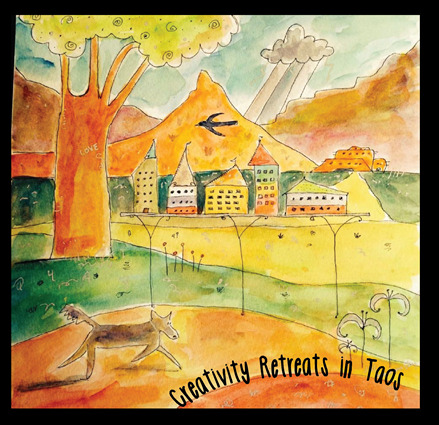 KMCC coaches work with anyone who wants live a more creative life. 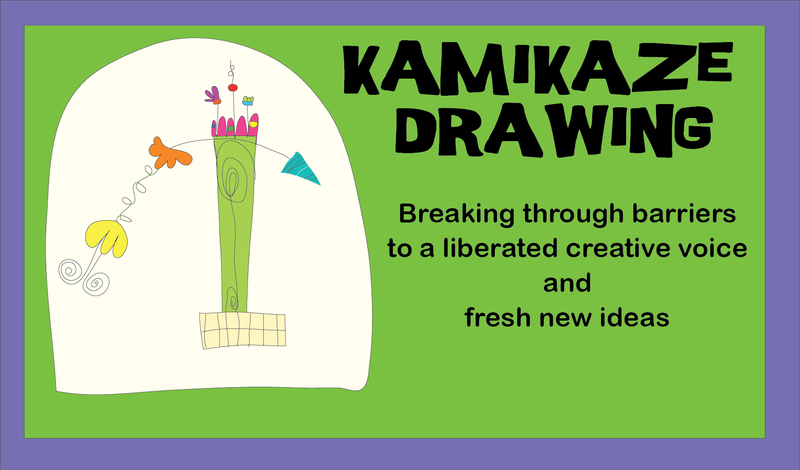 Break through resistance, procrastination, feelings of overwhelm, disabling perfectionism, low self-confidence and self-sabotage toward creative pursuits as well as any are of life with the tools of self-talk, acceptance and the 10 tools of KMCC. Students in this program experience their own creative breakthroughs. To apply for the KMCC certification training, please send an email to jillbadonsky@hotmail.com with a little about your background and experience and why you think KMCC is a good fit for you. Taught by Jill Badonsky and renown psychologist, Dr. Robert Maurer. Includes one-one mentorships with Jill Badonsky. You receive far more value than the costMore here. 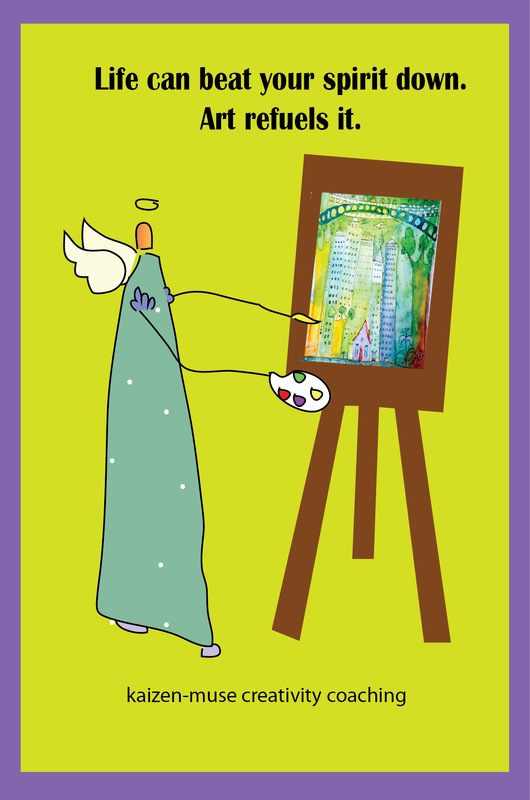 Art, writing, and improv workshops are designed for beginners with no experience to the expert wanting a fresh perspective or more practice. "The object isn’t to make art, it’s to be in that wonderful state that makes art inevitable." San Diegans: We live in San Diego. 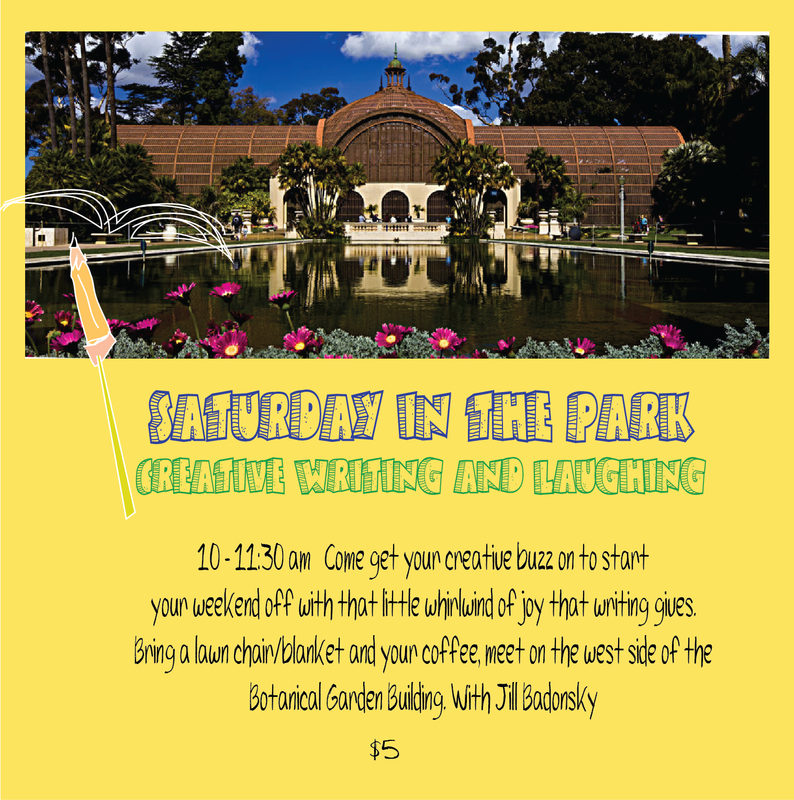 Let's write outside in one of our treasured locations: Balboa Park (just west of the Botanical Garden building on the grass). All levels invited, especially people who don't think they can write but want to have some fun trying and those wanting to discover a fresh approach. 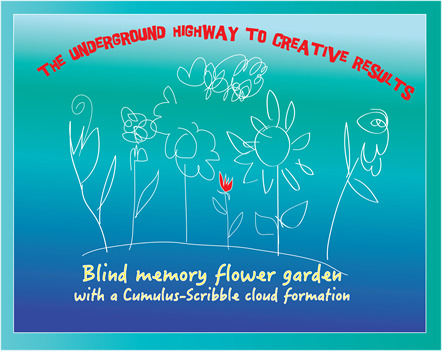 Ongoing: The Underground Highway to Creative Results. 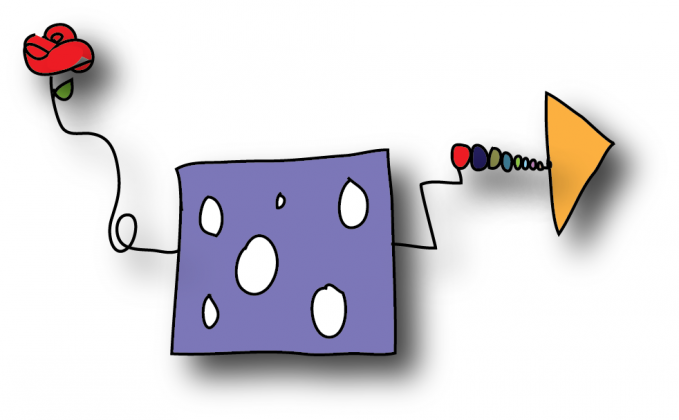 Find out how to truly embody the eight clever and wily plans mentioned above because just reading them alone doesn't work as well as being a group that implements them regularly. Be inspired with a monthly real time workshop, get regular reminders in an anti-overwhelm fashion, get two weekly creativity prompts, have the structure of a community,, and all this for the crazy low amount of $17 a month. 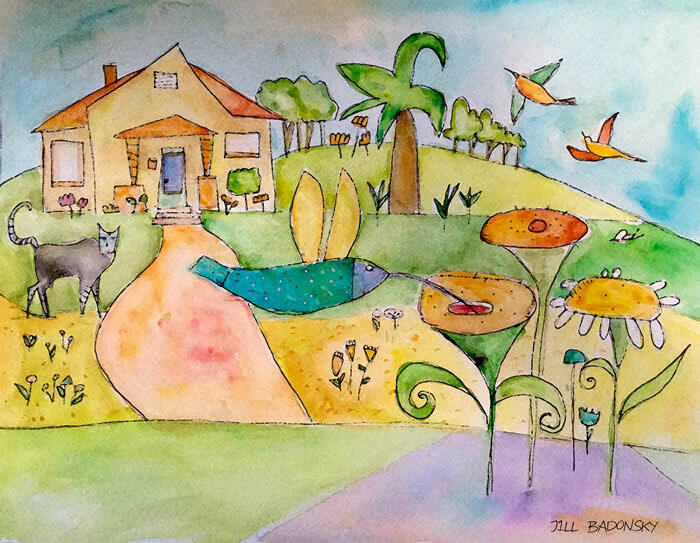 Two original Jill Badonsky writing prompts and inspiration a week to provide simple, fun structure to practice and share writing with a tribe of like-mined writers. No pressure - you can post or keep it to yourself. CLICK Here One month free to try it at no cost.